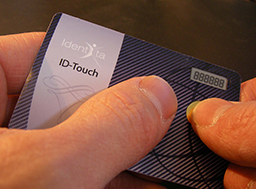 By extending Identita's powered cards to three-factor authentication using biometric sensors, government and commercial enterprises can securely verify and certify the identities of anyone seeking physical or logical access. The combination of powered card and biometric technologies will dramatically impact identity recognition, security access, and cryptographic applications. 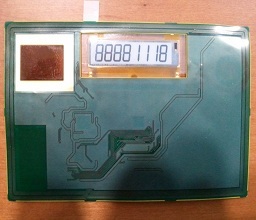 Embedded biometric sensors verify a user's identity by measuring physical features, for example a finger print, that are unique to that user. 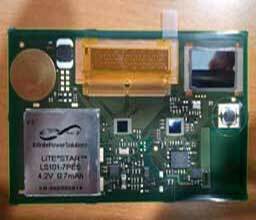 A user’s biometric information is stored on the powered card, the card is placed in a reader, and a biometric scanner reads the information to match it against that on the card. Once the authentication server verifies that the person presenting the card is who they say they are, access is granted. From ID cards, passports, drivers's licenses, social security cards, medical and insurance records, to work permits, resident alien cards, club memberships, voter cards, student ID, and pilots's licenses, biometrics offers endless possibilities.